Is Social Media Ruining TV? Searchlight Executive is recruiting for an experienced Digital Media Operations expert to manage the day to day running of the Media and Content Services department, ensuring the department continually meets the requirements as scheduled. You’ll need a thorough understanding of broadcast technology, including the post production process, transmission and tape/file formats. Searchlight Recruitment is currently looking for a creative professional from a consumer products, TV or fashion background. You’ll be using your knowledge of fashion & TV industry trends to advise on all consumer demographics and produce designs for assets and products. You’ll need experience with design in the fashion and/or retail industry with excellent operating knowledge of Photoshop, Illustrator, InDesign and Adobe. An experienced Sole-Charge Assistant Accountant is required by an exciting independent Media company based in The West End. The key purpose of this role is to look after all day-to-day bookkeeping, accounting, reporting and financial administration of the group of companies. Searchlight Recruitment is pleased to announce that Ben Adderley has been appointed as Audience Research Manager at CSC Media following another successful search. 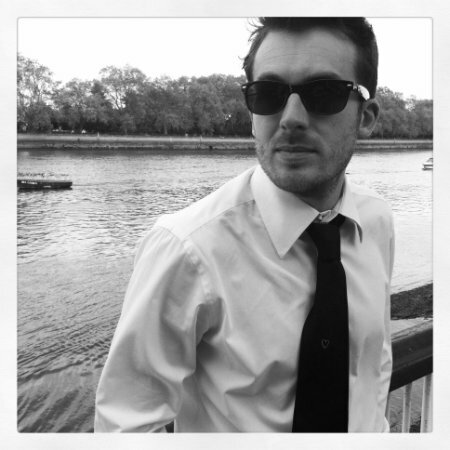 With previous employment with BSkyB, Discovery and ITV, Ben has a wealth of experience in audience research with expert knowledge in BARB and managing quantitative and qualitative research projects. At CSC Media, he’ll be providing key audience insight, with a focus on Music, Movies and Kids channels. We wish him the best of luck with the new role! For more information on CSC Media click here. dale evans @searchlight celebrates 1 year! We wanted to give a warm and celebratory Happy Birthday to our colleagues at dale evans @searchlight who joined us back in July 2012. Going from strength to strength in their first year, dale evans @searchlight now offer some of the best freelance talent in the broadcast and media industry ranging from Editors, Producers and Motion Graphic Designers. A thanks to Conor and Ian, the two senior consultants, and the rest of the team for their continued efforts. Let’s look forward to another successful year! For further information on dale evans @searchlight you can click here. “Don’t say anything online that you wouldn’t want plastered on a billboard with your face on it.”". Welcome to the Summer Newsletter! Welcome to our Summer Newsletter! The way we interact with TV over the past few years has seen a drastic change with the arrival of tablets, smart phones, smart TVs, and the emergence of second screening. Whether it’s tweeting about your favourite programme, broadcasters using Facebook to market their new programmes, or stars of the show sharing Vine videos to interact with fans, social media has become an all important cog in this TV evolution. But is all this interactivity really improving the way we view and access our favourite TV entertainment? The infamous hashtag seems to have permeated our daily vocabulary and it’s ever present on our screens, calling out for us to tweet about our favourite programme or to coax us into interacting with other fans. The recent Wimbledon match which saw Murray win big for Britain managed to get a huge 120,000 tweets per minute during the peak moment of victory, even outdoing the Olympic Games during its highest ‘tweet-spot’ which peaked at 116,000 tweets per minute. Further building on their strong hold over TV, Twitter acquired BlueFin Labs, a social TV analytics company which was founded in 2008. With Twitter offering real time conversations on TV, the acquisition of BlueFin Labs has opened up doors to allow brands to analyse TV data and create innovative new ways to interact with consumers/viewers, further bridging the gap between TV and Social Media. Another recent partnership came through for Twitter with Nielsen, with the correlation between TV ratings and Tweeting now being analysed, recent figures have shown that increased Twitter activity can boost a shows ratings by 1%. While this is still a rather minuscule figure, it is something that time will no doubt build upon and with the combination of Twitter, an in-house analytics team and a partnership with Nielsen, it can be predicted that Twitter could become a huge game changer in the TV ratings game. But do we want a social network governing the TV landscape? What are your thoughts? 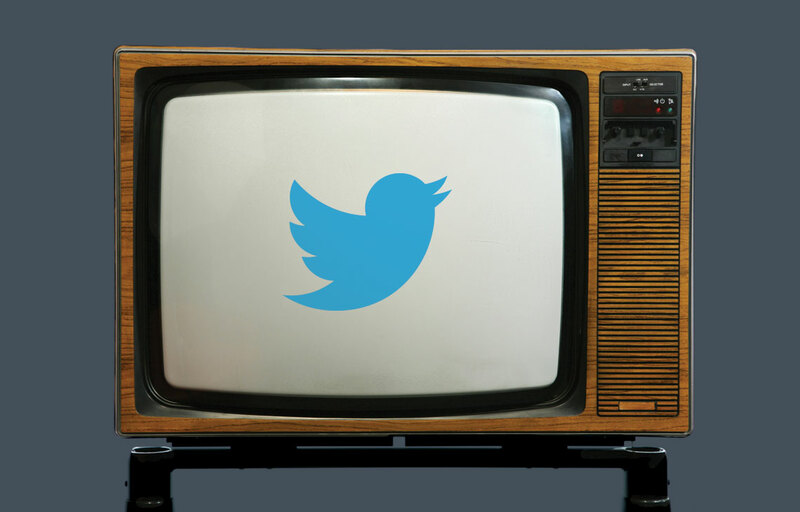 Do you think Twitter is a passing fad, or has it already become the big TV ratings game changer? Weigh in via email and/or LinkedIn as we’d like to keep this discussion going – we can publish your comments on your behalf on LinkedIn with your permission. According to a recent study, Smart TVs are not connecting with the public as many are concerned the technology is not ready to deliver an adequate Social TV experience. Instead the majority are sticking with what they know, second screening with their mobiles and tablets as Smart TVs fail to offer innovative apps and services to the user. 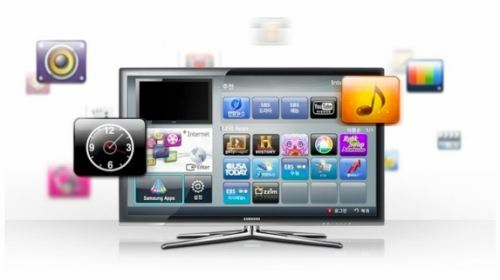 Earlier in the year, Daniel Danker, General Manager Programmes & On Demand at the BBC, stated that having a dozen disparate development platforms is not working and that the contribution made by Smart TVs towards the iPlayer is low. Talking at Connected TV he’s quoted as saying, “to increase adoption rates we need to delight consumers and it is not a delightful experience.” He highlighted the fact that having to interact differently with each TV does not give the user a seamless experience, especially if they have one Samsung Smart TV in one room and a Sony in the other. A more cohesive route needs to be taken and most importantly, if the SmartTV is to become a standard home entertainment appliance, the needs of the customer need to be met. brands are continually being offered new advertising platforms, with the relationship between social networks and mobiles remaining strong. As an expert in the field, Chris Baillie recently reported that “mobile video made up over 50% of mobile traffic in 2012” and the constant rise in social media means mobile video content constantly has an easily accessible springboard to reach consumers. Two of the most recent updates have been the additions of Vine and Video for Instagram, both which offer the user the ability to record a few seconds worth of content. EBuzzing has now opened up the platforms to allow advertisers to share their video content on these platforms which brings with it another new dimension to mobile advertising. Mobile advertising is a vital marketing tool not to be dismissed, allowing brands to easily reach their audience with so much power lying in that all important Share button. Searchlight provides Recruitment and Executive search services to the media and entertainment industries. We help our clients fill a wide range of positions at all levels from middle management to senior executive across our specialist sectors. We attribute our continued success to two main factors: Our excellent understanding of the sectors in which we work, and secondly, our reputation, which draws prestigious clients to use our services, and encourages high-calibre candidates to entrust us with their CVs. Copyright (C) 2009 Searchlight All rights reserved.